Maybe it’s time to get paid to be YOU. I made a silent vow to myself; someday soon I would be working for myself, pursuing what I truly loved to do. I would have freedom. Control. Unencumbered creative expression. I was tired of working for someone else. And not only that, I didn’t buy into the whole “you have to work to live” deal. Give your gifts to the world and be of service to others? Sure, community, connection and reciprocity makes cosmic sense to me. It’s something I can buy into. But just getting a job, doing what you’re told and eeking out an existence? Not for me. I guess you could say that since a young age I’ve always had a rebellious streak. I want to do it on my own terms. My first word was “broke” — because I broke my toy trying to figure out how it worked. Go figure. So, I’ve always been curious. I’ve always asked “why” and that ceaseless questioning (which drove my parents crazy sometimes) has served me very well. When the answer to “why” doesn’t feel right to me, doesn’t satisfy my internal conscience, I can’t accept it. That questioning led me to quit my job, build my own business on my own terms and help thousands of others make their escape. If you don’t feel that the work-to-survive model of keeping your head down and accepting your “good job” makes sense to you, I’m here to tell you that you don’t have to just buckle down and grin and bear it. There is another path. One that you create from your deepest heart. What follows is a field guide to you building your own livelihood. I encourage you to stay curious, to always venture to be of service and never, ever let anyone tell you that what feels right in your heart cannot be done. 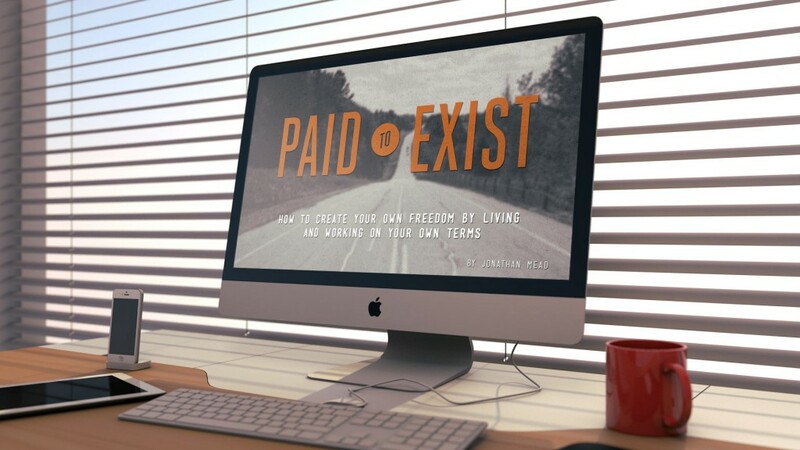 Get your copy of Paid to Exist (hi-res PDF) today and learn how to live and work on your OWN terms. What does it mean to live and work on your own terms? When you live and work on your own terms, you get to do it your way. You get to decide what you build, how you serve the world and how your days are lived. Your terms = control and freedom. Why is this message so important in today’s economic climate? You basically have two choices: you can play someone else’s game, or play your own. When you operate in the context of what’s been built for you, or the larger economy, you’re playing by their rules. You’re essentially forced to accept your fate dictated by the changing whims of outside forces. But when you create your own livelihood, you create your own economy. You get to decide based on how smart and efficiently your work, how much money you make and what kind of lifestyle you live. It’s all up to you. Is it really possible to get paid to exist? How? 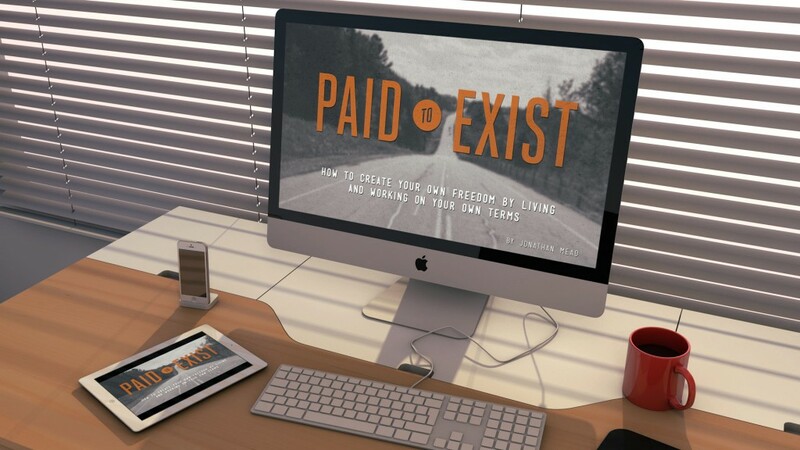 Getting paid to exist is not only possible, but it’s the way the world is trending. More and more folks are realizing that they don’t have to live the way they’ve been told, educated and groomed to live. Does it require work to step outside of that paradigm? Absolutely. It starts with learning a new skillset: determining your unique value, getting clear on what makes you come alive and then learning how to market those offerings to the world. Unfortunately, we don’t get taught these skills in school, but it doesn’t mean you can’t start learning now. “As a small business owner and entrepreneur, I have a lot of doubts: maybe I’m not doing the right thing, maybe I’m taking the wrong path, maybe I’m wasting my time. What I’ve come to realize is that I’m not alone in having those doubts. It’s not crazy to be afraid of all of those things. But a better use of my time and energy (instead of feeling that doubt) is figuring out what my passion really is. That’s no small task — and in fact, I could see requiring a lot of time on a therapist’s couch trying to work through all of those thoughts. What really drives me? Why am I doing what I’m doing? I could talk through all of those things on a couch — OR I could read Jonathan Mead’s book. 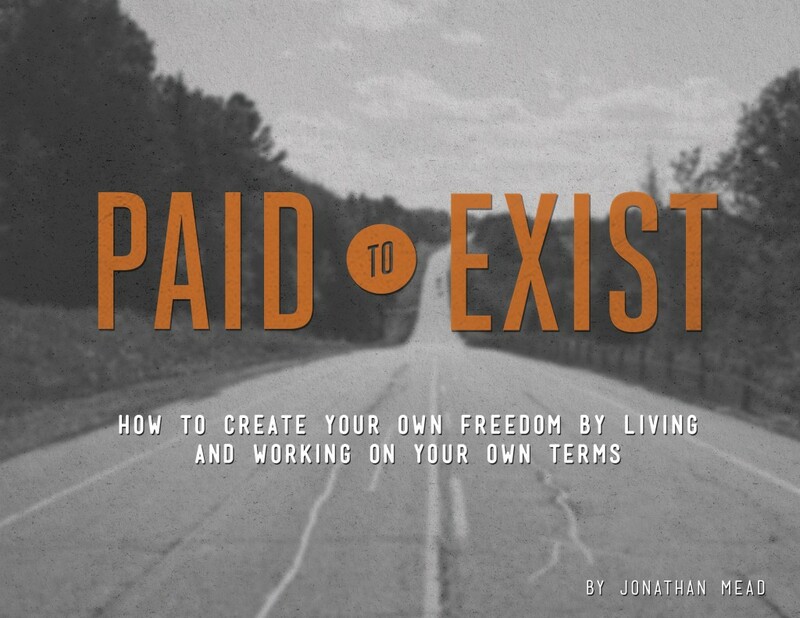 The great thing about reading and working through Paid to Exist is that he gives you exercises to work through and a framework for figuring out all of the existential stuff that you might need to work on. It’s a lot better than paying for therapy sessions. And you wind up with a path, guidelines, and awesome resources at the end of it. This is an AWESOME workbook and guide for anyone who wants to quit their 9-5 and get started on their dream. Or maybe you’re not sure what your dream really is — he’ll walk with you through that, too. 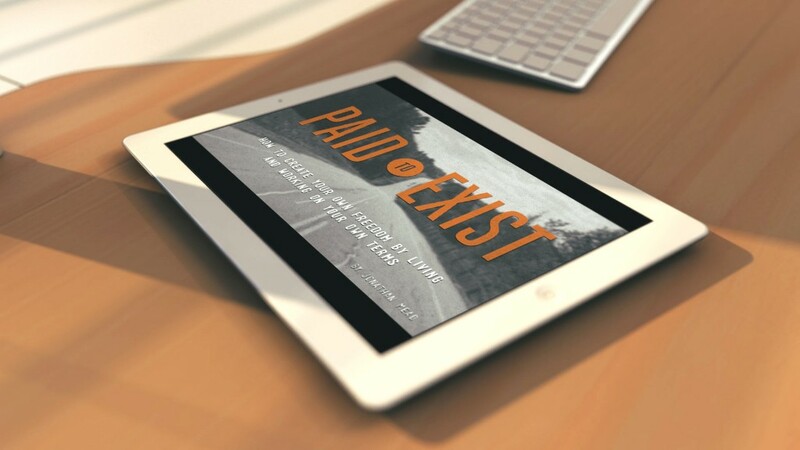 Get your copy of Paid to Exist in hi-res PDF today.